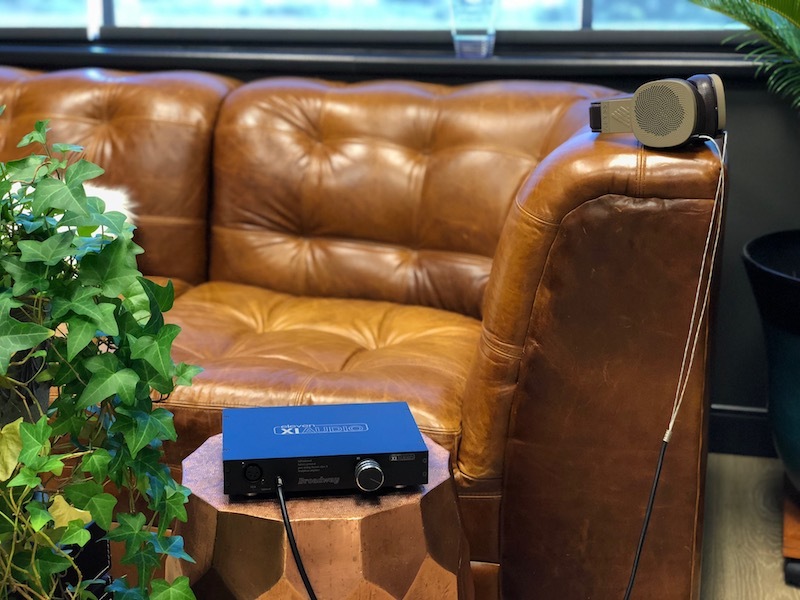 The World's First LiTHIUM Ion powerED fully balanced..
discrete class A headphone amplifier by XIAUDIO (TM) combines smooth detailed sound lacking any power supply noise or AC line interaction. Amazing low level detail, smooth very real mids and vocals, and clear highs just begin to describe how good this amp is!. Four channels of amplification straight through to a high performance balanced headphone connection with 1500 mW of super smooth sounding class A bias amplification. DC coupled means huge low frequency bass resolution, the Broadway sounds way larger than it looks and can drive nearly any power hungry headphone with ease.